Lying on a narrow strip of land between the Vosges Mountains and the mightly Rhine, Alsace has always been hotly-contested frontier country. You'll see magnificent chateaux where royal feuds, bloody battles and successions of invaders have left their mark. You'll witness annual festivities whose roots lie in mediaeval folklore, and see lots of people proudly wearing regional costume. 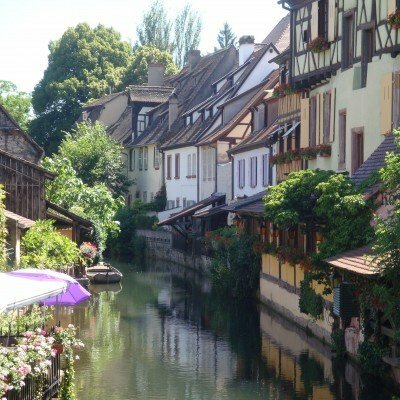 Alsace is one of France's best-kept secrets, making it an ideal choice for a relaxed independent walking or cycling holiday. As any Alsacian will tell you - passionately - the tiny region has its own distinct character, culture and dialect. Much of its charm lies in its fairytale towns and villages. Often fortified, they have narrow cobbled streets, Gothic churches and cool fountains. Everywhere is festooned with bright flowers, and the painted wrought iron signs hanging outside inns and shops are an art form in themselves. Very easy walking through flower-festooned villages taking in feudal castles, churches, forests and vineyards. Panoramic views of the Black Forest, Vosges Mountains and famous Route du Vin. Lots of wine-tasting opportunities. Good living at a relaxed pace, this luxury 7-night cycling trip leads you through mediaeval towns and villages amid a sea of swaying vines to visit crumbling hilltop chateaux, mighty mountain fortresses and top-notch wine producers. Then relax in fine hotels located in some of Alsace's most interesting towns. 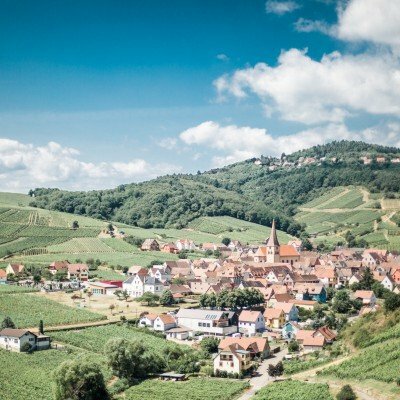 Incorporating both Alsace's Route des Vins and the picturesque Vosges National Park, this 8-night walking holiday showcases the very best that the region has to offer. 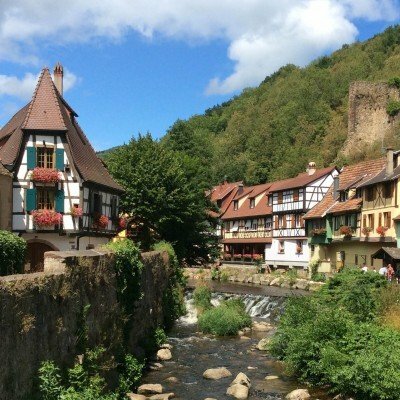 Your holiday starts in the heart of wine country and takes you west through ancient forest and into the Vosges Mountains, straddling the French and German border. Calls to our 01606 number from UK landlines cost the standard rate, but calls from mobiles may be higher. Please check with your network provider. The Foreign & Commonwealth Office and the NHS have up-to-date advice on staying safe and healthy abroad. For more on security, local laws, plus passport and visa information, see travelaware.campaign.gov.uk. Keep informed of current travel health news by visiting www.fitfortravel.nhs.uk. For further information, please visit our Travel Aware page. The advice can change so check regularly for updates. © 2019 Headwater Holidays. All rights reserved.